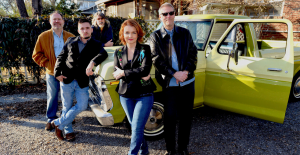 Home News First Trax Happy Thanksgiving Everyone! Lots of Ski Resort News Today! Happy Thanksgiving Everyone! Lots of Ski Resort News Today! Jump right to the SNOW REPORT if you guys want to see who’s making snow and those resorts that are open today. We’re certainly thankful for the cold weather and for the hard-working snow makers out there who are getting the slopes ready for our enjoyment. We talked about this yesterday, but for all the “haters” out there who were complaining about a few resorts that were not making snow as quickly as THEY thought their favorite ski area should have been – well your wishes have been granted as several ski areas that we listed on Tuesday as having not made snow yet – are now making snow. Turkey Day and Friday should be awesome for those of you who are able to make it to the open ski areas. A Wintry Mix looks to be coming in Friday night and then Saturday is looking a bit wet (under developed snow) and then some of the coldest air of the season thus far will be with us Monday night through Wednesday. We will keep an eye out for you and report as we get closer. 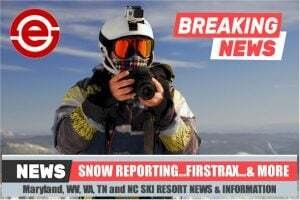 Cataloochee Ski Area is open for Thanksgiving Day and they added another open trail to get their open slope count to 4 for today. They were able to make snow yesterday and last night. 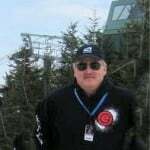 Also Chris Bates informed us that the new webcams had arrived and we will coordinate with them on Saturday to get those operational…weather permitting. This was a capture from the DRONE they flew on Opening Day! Nice! Click to Enlarge. 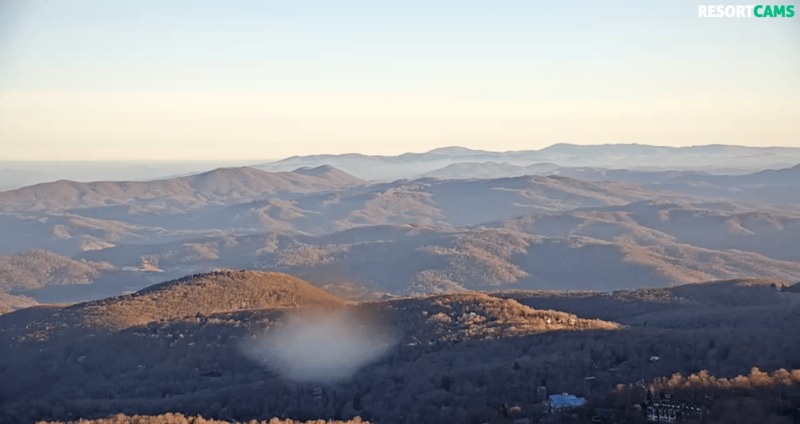 Shot provided by Cataloochee. “Happy Thanksgiving from our Snowshoe family to yours! Check out this awesome video shot from yesterday’s OPENING DAY. Do you think those peeps were excited about those conditions? Ober Gatlinburg – It’s 37° this morning and yet I watched them as they were “spitting out” snow on their tubing hill, which is OPEN today. You’ll have to look really close on the top of the photo where they were putting some snow on the return path on the tubing park. 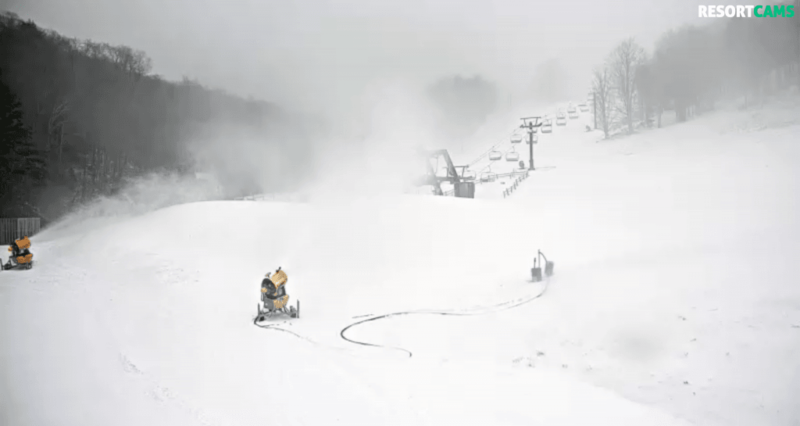 Wisp Resort – 21° and is making a mountain of snow with their high-tech, snowmaking system. As we said yesterday, ski areas can now put down more snow than ever, in a shorter time than ever. It won’t be long before Wisp opens. Canaan Valley – 17° this morning and they were able to make snow around-the-clock for the last 24+ hours. They are open for SNOW TUBING today and the slopes are looking awesome for their opening day, December 15th as they are creating some WHALES of snow! 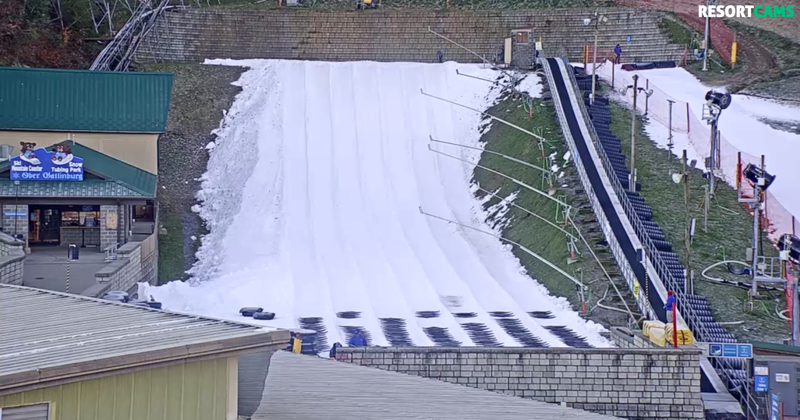 Massanutten Resort DID make some snow overnight but the temps are now slightly above snowmaking capabilities and they will resume as soon as temperatures allow. Sapphire Valley’s Frozen Falls Tubing Park MAY open this weekend. 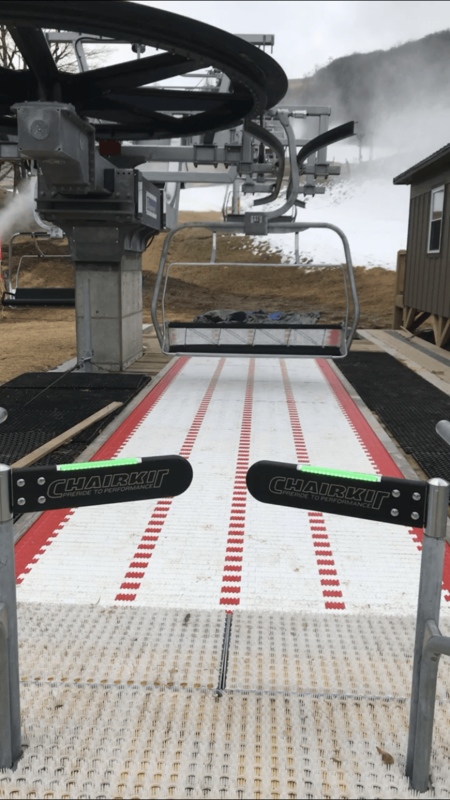 Timberline Resort Will Be Opening…. Thanks for the contact Mrs. Herz! Beech Mountain Resort to Open Tomorrow, Friday, November 23rd! 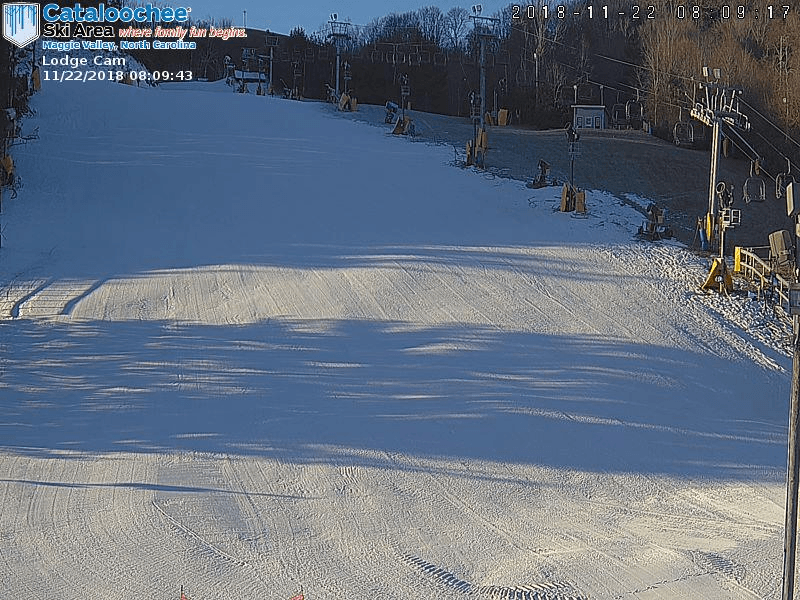 As we already posted elsewhere (see Full Announcement), Beech Mountain has been able to make enough snow to open with a quality product for their fans tomorrow! My great friend and Director of Marketing, Talia Freeman says the resort is scheduled to open on Friday, November 23rd. Beech fans will have a LOT to check out in terms of improvements all over the mountain. 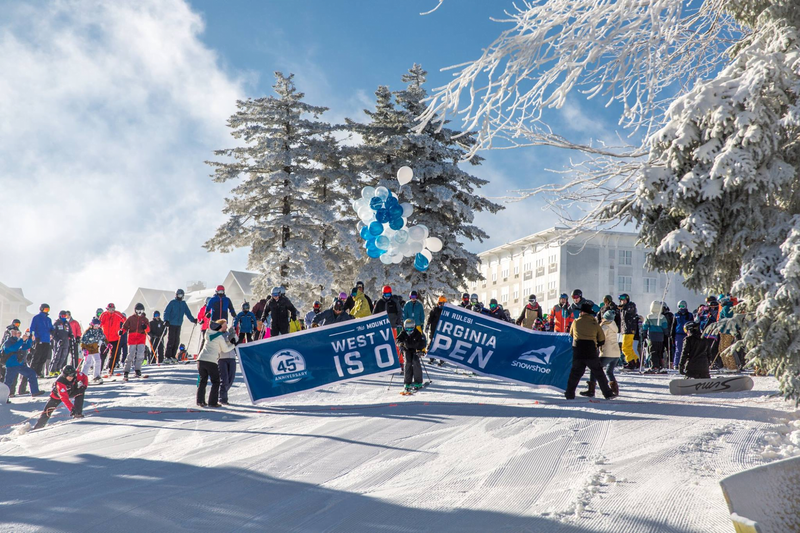 Beech Mountain Resort will probably get an award for “Most Improved Ski Resort” from several sources this season. The most eye-catching changes will be Two New Chairlifts. The old Quad Lift house is gone and two new Quads have been installed. 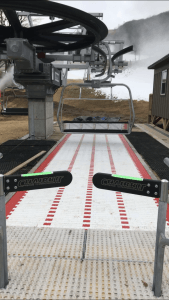 You may have to wait to see the effects of another great addition – however Beech has installed over 100 brand new LED light panels around the slopes to light it up at night! Numerous Snowmaking upgrades have been implemented as you notice a ton of new huge fan guns. The resort celebrated their 50th anniversary last season, however the real celebration will be this season as guests will no-doubt enjoy the perks of all of Beech’s labors and investment. 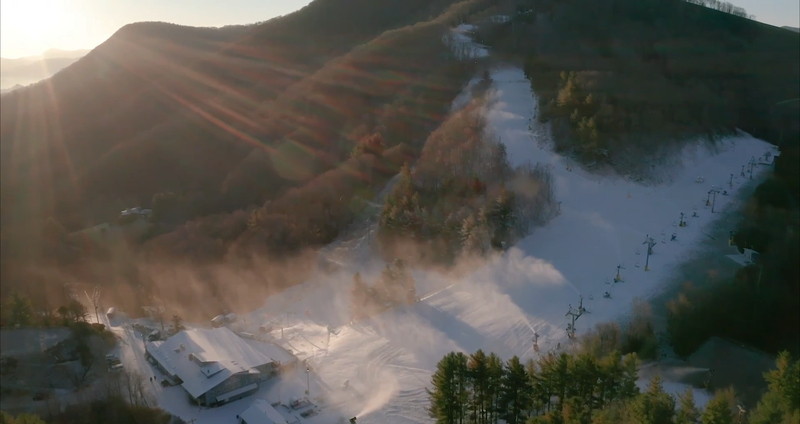 Previous articleBeech Mountain Resort to Open Friday! November 23rd! Next articleBeech Mountain Resort Opened Today! That Means Five Resorts are Open Now!